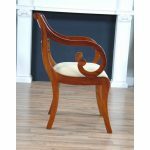 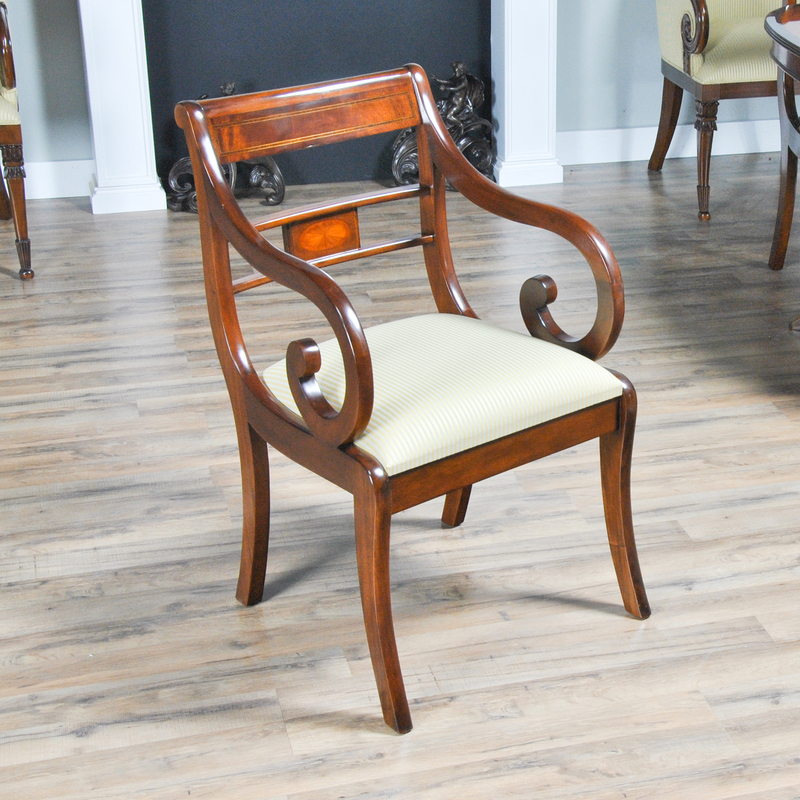 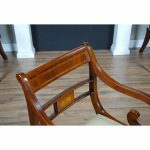 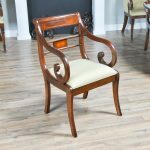 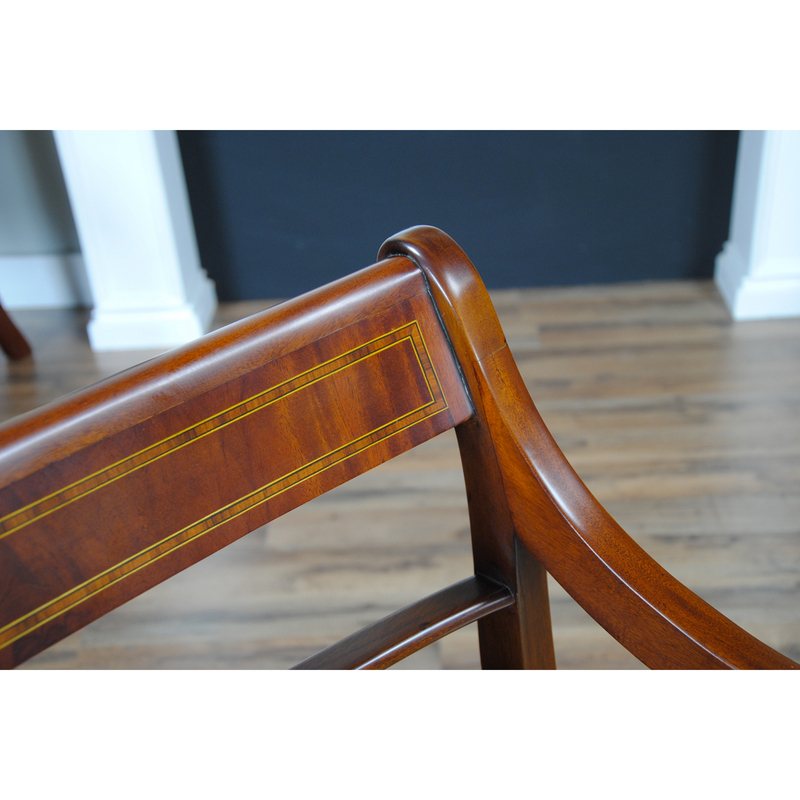 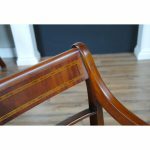 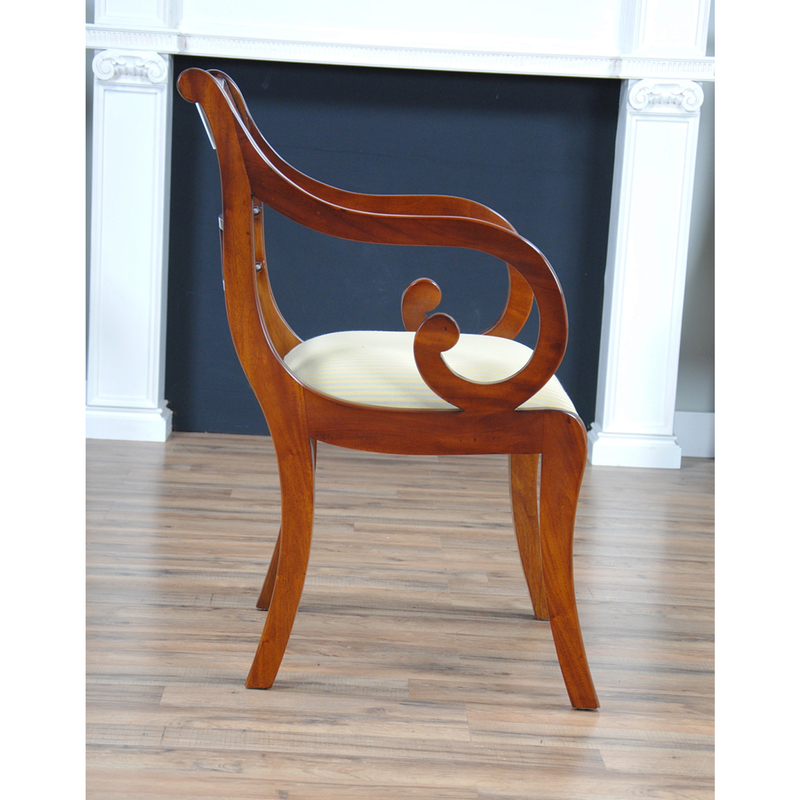 A fine quality Banded Mahogany Arm Chair by Niagara Furniture. 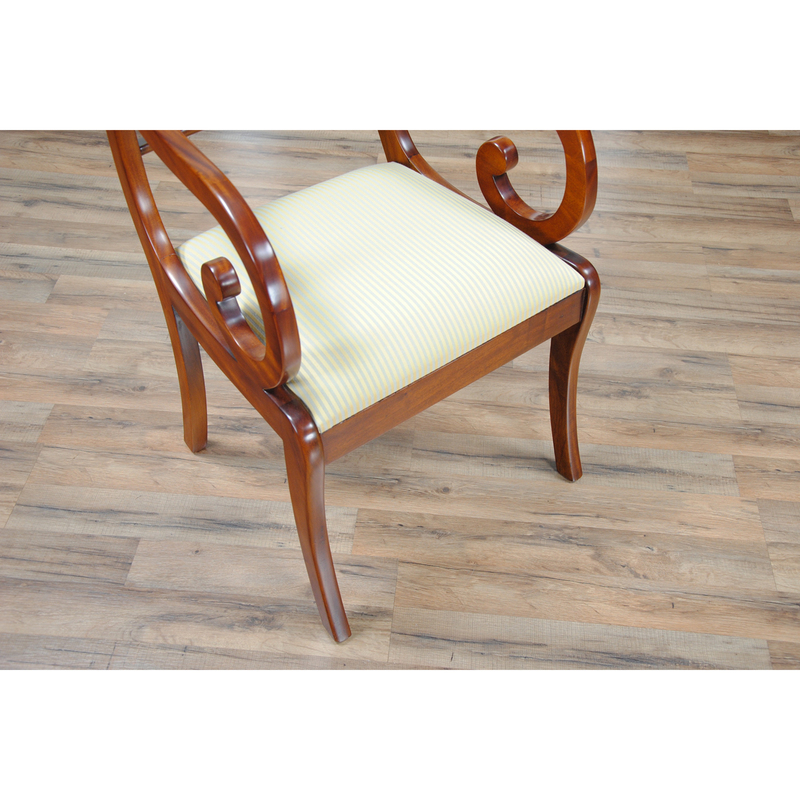 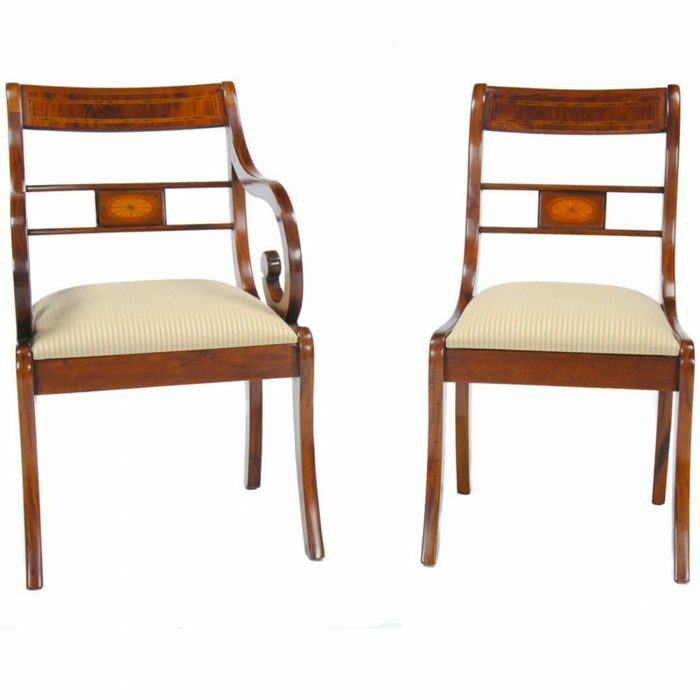 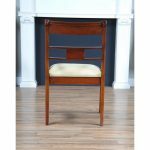 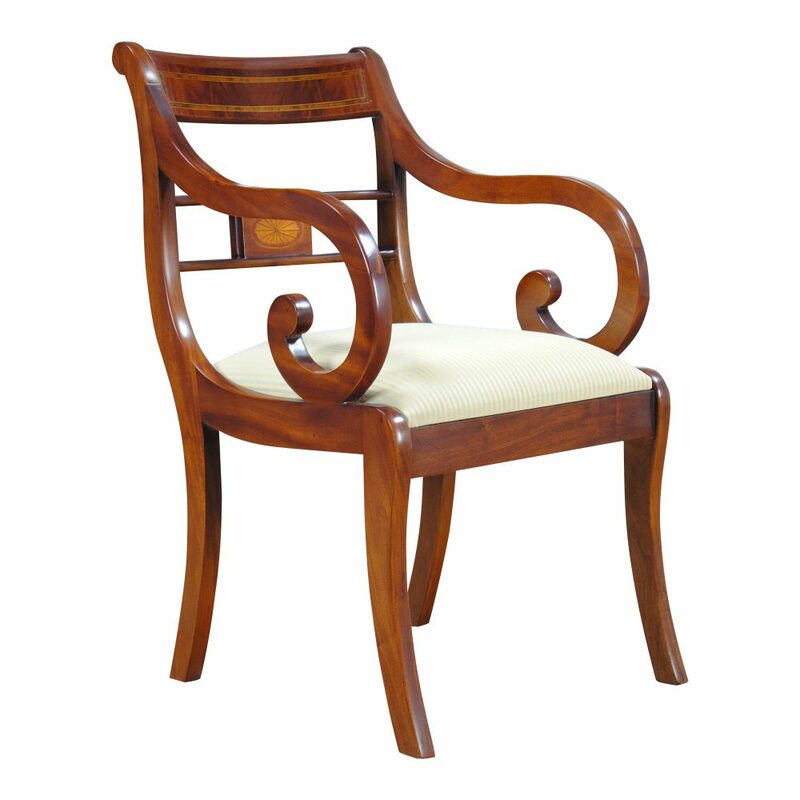 These arm chairs are created from the finest grade of plantation grown solid mahogany and the finest available veneers. All of these materials come together to create a beautiful chair that is surprisingly solid and heavy for it’s size. 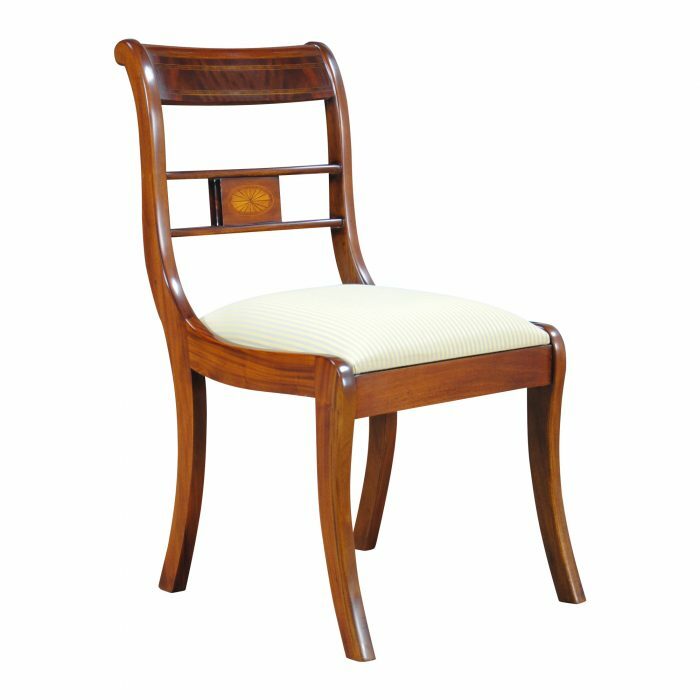 Very well built by experienced cabinet makers this Duncan Phyfe style chair has great features, such as glue blocks in the corner of the seat area to help the chair remain tight and useful for years to come, as well as a slip seat which can be removed quickly should you decide to change the fabric. 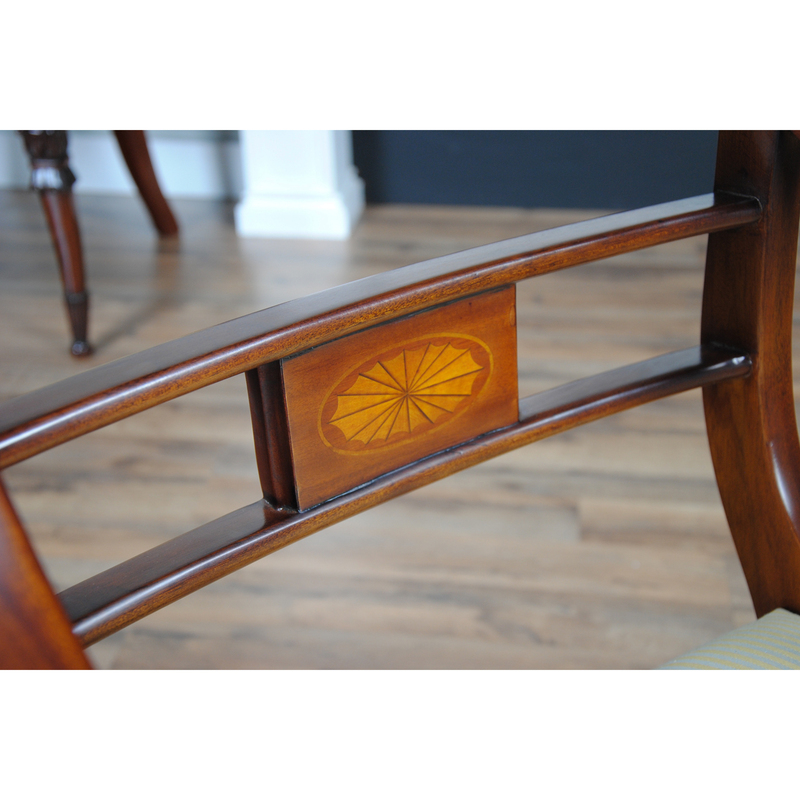 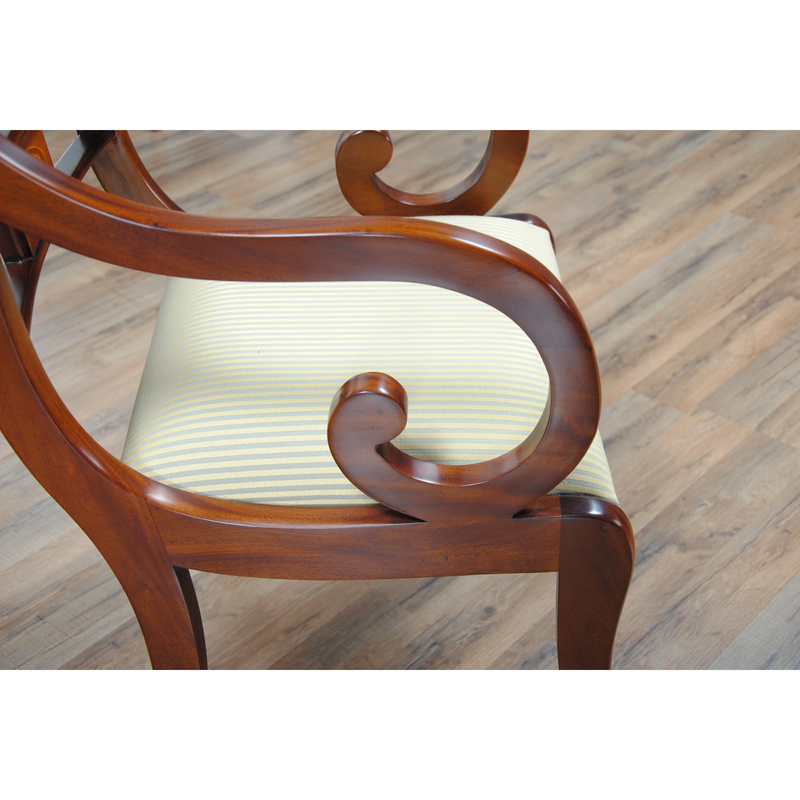 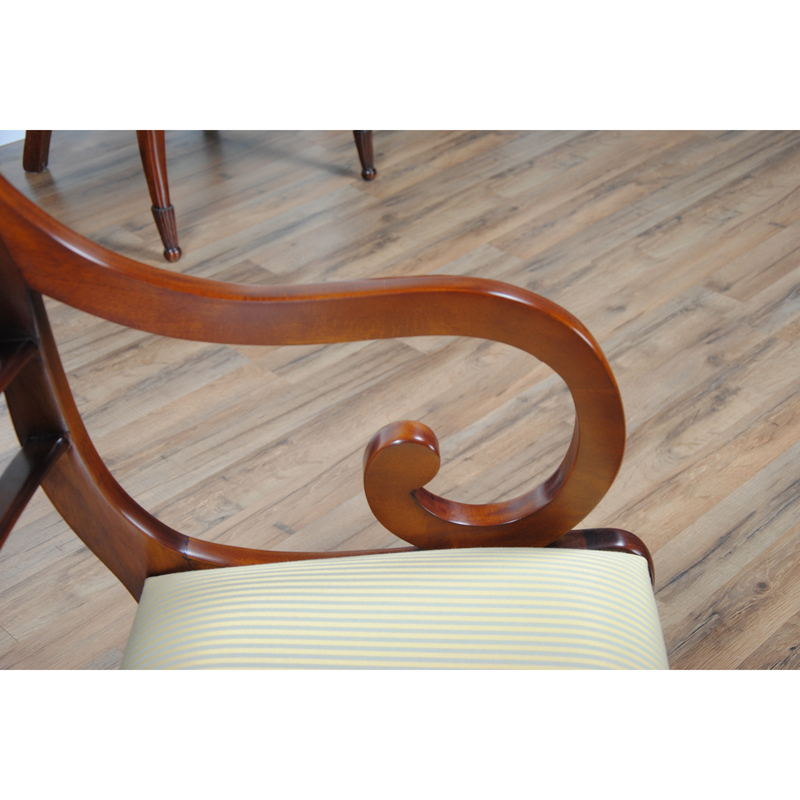 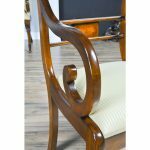 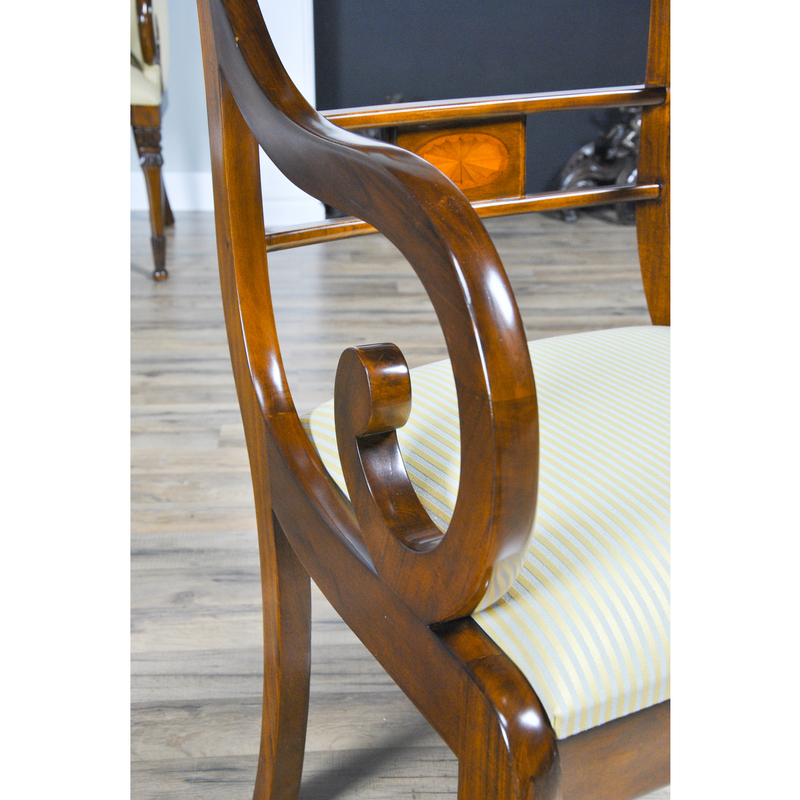 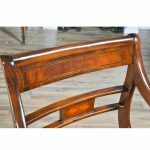 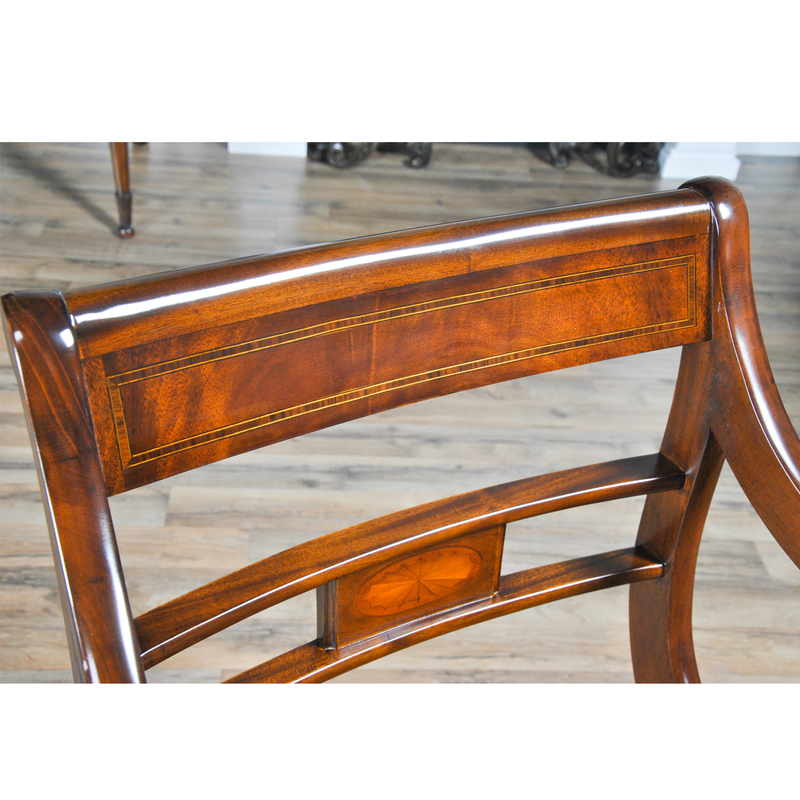 The center rail in the back of the Banded Mahogany Arm Chair features a pinwheel design that is hand made from satin wood, the arms are scrolled and comfortable while the tapered front legs form a gorgeous saber shape. 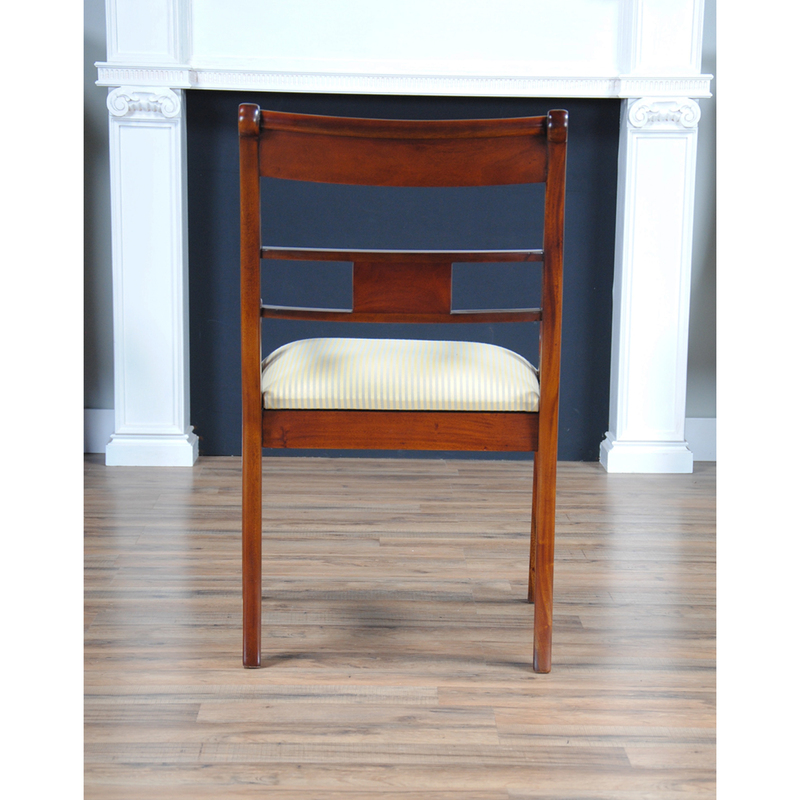 Arm Height approximately 28 inches and seat height approximately 19 inches.